Admittedly, the whole point of a fashion show is to showcase a new collection from top designers that have put their heart and soul into it in hopes that fashion enthusiasts would approve of. However, another aspect that is important to a fashion show is the line of models walking the runway. How do you think Jourdan Dunn, Kate Moss, Naomi Campbell, and many other supermodels made it to stardom? One would argue that it is the models who bring the clothes to life, but we will leave that for debate some other time. Meanwhile, we had some of the top Malaysian models walking our runway during the annual ZALORAYA fashion show that was held a couple of weeks ago. 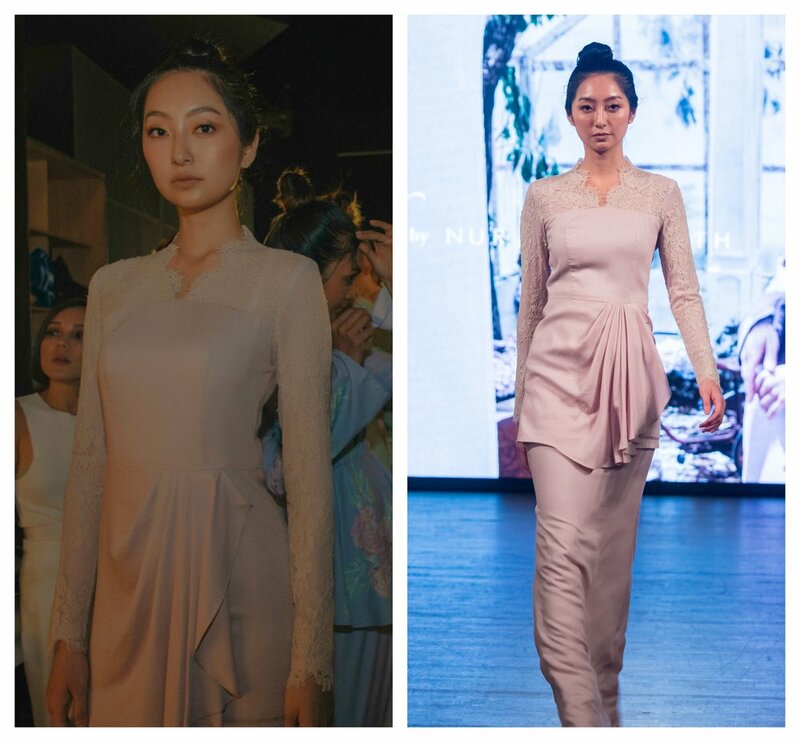 We specifically featured Raya clothing from the likes of Afiq M, Syomirizwa Gupta, Tom Abang Saufi, and many talented designers where the models graced them all in such style and elegance. Who do we have on our ZALORAYA catwalk you ask? Well, let’s meet and get to know the top 13 models that walked ZALORAYA 2019. Probably the most recognised face to walk for ZALORAYA, Alicia Amin returns once again – in a shorter, blonder hairdo this time – to grace the runway wearing nothing but lovely fashion items for you to choose from come Raya this year. She even deservedly closed the show in a beautiful piece by Nurita Harith, marking her presence in the local fashion industry. Aw Sim Hui has made a name for herself when she won the X Top Model Search pageant back in 2011. She came a long way since then walking and modelling for other top brands both locally and internationally. And to demonstrate that particular skill of hers, we were lucky enough to witness it during ZALORAYA. Fashion people already know who this darling is as Deedee Nash has walked and modelled for various brands. She does not limit her résumé solely on fashion though. Last year, she dipped her toes into acting where she starred in the Raja Mukhriz Raja Ahmad Kamaruddin’s horror flick, “7ujuh”. This year, she returned to where she is most comfortable at and that is the ZALORAYA runway. Eleen Yong has shed blood, sweat, and tears in her modelling career for almost 11 years now since she started. And it does not look like she is stopping anytime soon. This is what she is good at and it showed when walking the ZALORAYA runway where she brought power and elegance wrapped into one. 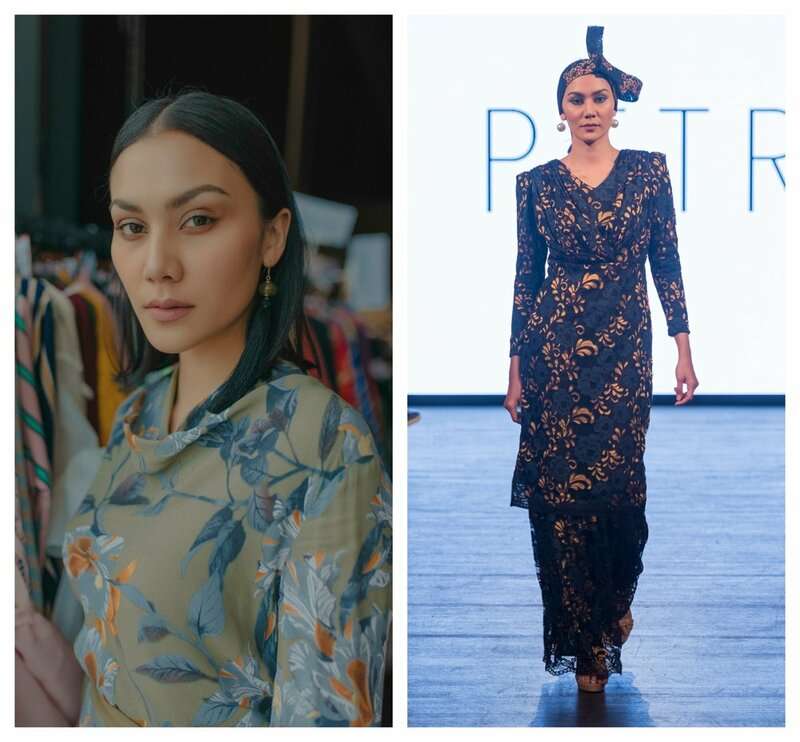 The name Hidayah Baharudin is no stranger to the modelling world as she would be the top choice for local brands to showcase their fashionable items. Her beautiful dark skin makes for the perfect canvas to match with clothes that are colourful and bright, which she totally rocked during our ZALORAYA fashion show. Everybody knows Natalie Prabha as the fashion model, but did you know that she is an excellent cook too? You can see on her Instagram that she loves making healthy vegan dishes which honestly, should be practiced by everyone who is managing their weight. 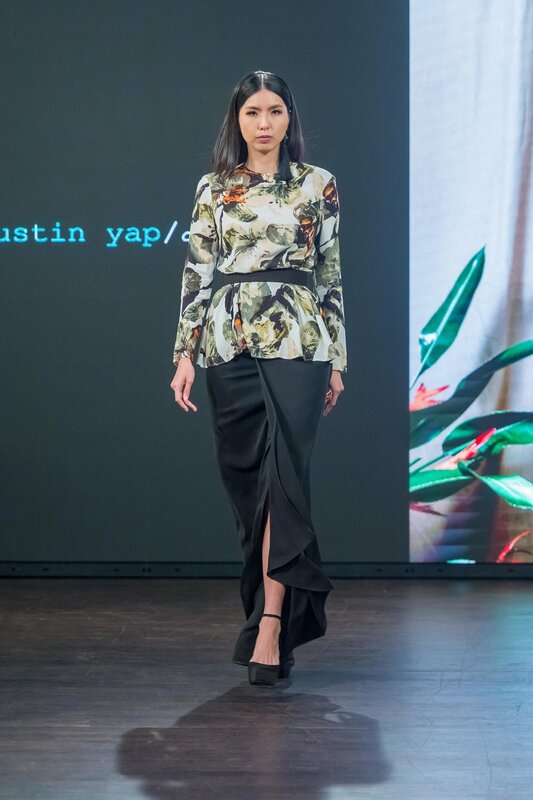 While she could not demonstrate her cooking skills on the runway, at least we got to see her elegant walk at ZALORAYA 2019. Natasha Noor has come a long way since her competition days, now modelling for various brands and fashion shows. One in particular was the Kuala Lumpur Fashion Week back in 2017 which is a huge step for her knowing that she was not really focused on getting into modelling initially. But look at her now. She proudly walked the ZALORAYA runway and hopefully will continue to do so in future years. Art revolves around one Nia Atasha. Be it fashion or visual arts; she eats, sleeps, and breathes art. So, it is no wonder that we see a lot of Nia Atasha around social media these days showcasing her passion. We can kind of see that in her off-duty look at ZALORAYA, but what we really saw is her elegance when walking the runway. Truly a gorgeous woman. Her modelling résumé might be a little green compared to the other models at ZALORAYA but do not dismiss her just yet. She has shown tremendous capability over the years of being a model and is now taking her own stand separating herself from her sister’s shadow to succeed in this industry. Full speed ahead, Rita Nadira! Now, this Rita everybody knows of. She has graced magazine covers, walked runways, and is the “it” girl when it comes to modelling and the fashion world. Rita Suraya comes back to ZALORAYA once again to remind these new players who’s boss. The crowd there would agree that the best designs were all worn by Rita Suraya, and it is easy to see why. If you are ever in a pageant with Rubini Sambanthan, you better just quit while you can because she will sweep the competition like it is nobody’s business. She has been in Miss World Malaysia 2013, Miss International Malaysia 2014 (which she won), Miss International 2014, the coveted Asia’s Next Top Model, and many others. We were lucky to witness her in action again at ZALORAYA and hope that she will return next year. The winner of Make Me A ZALORA Model Cycle 2, Syaqyryn Syeikh made his debut on the ZALORAYA runway, modelling for fashionable men’s items for us to choose from. While he has worked for several other projects and brands, ZALORAYA seemed like the place to be for him as he walked the runway with such style and machismo which left the crowd wanting more from this Malaysian-born gentleman. With a name as unique as Wafa de Korte, it is only fitting that the person who owns it is a beautiful young woman who has been in the entertainment industry since the tender age of 5. Since then, she has found her passion in the fashion industry when she was 17, thus modelled and walked for many brands including this year’s ZALORAYA. It does not look like she is stopping anytime soon, so expect more from Wafa de Korte in the future. Interested on finding out more on what happened at ZALORAYA 2019? All you got to do is stay tuned to our magazine as we drop more exclusive articles for your enjoyment!